Hinckley’s Leicester Road FC has agreed a sponsorship deal with Jet2holidays. As a full and leading corporate sponsor, Jet2holidays will have numerous pitch side boards around the Leicester Road Stadium, another on LRFC’s new club house, plus ongoing marketing opportunities. The relationship has seen both business and awareness grow in and around Hinckley for Leicester Road Football Club, Holiday Lounge and of course Jet2holidays. 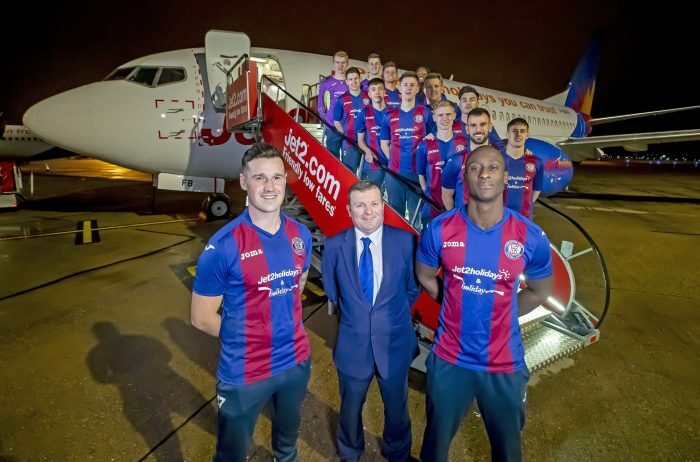 The holiday and airline operator has also secured their logo on the front of the first team shirts this season – after being entered in to the club’s annual shirt draw.